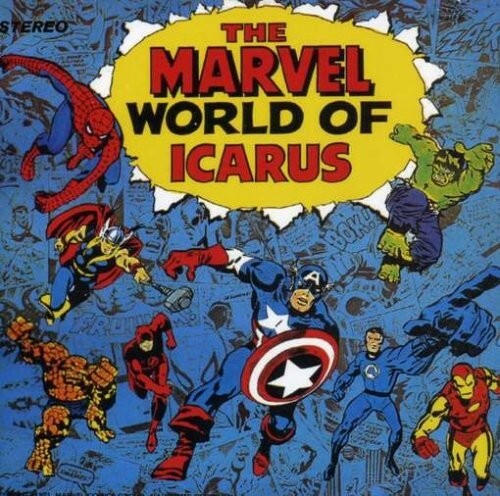 In 1971, pyschedelic English progressive-rock band Icarus released The Marvel World of Icarus, an entire LP dedicated to characters from the Marvel comics universe. It never saw a second pressing, either due to poor sales or legal issues with the folks at Marvel. Bootlegs have been floating around ever since, and this past weekend I came across a nice (and legitimate) vinyl reissue of the album. "I love Marvel comics and prog rock!" I said to myself, more ready than ever to spend $25 on a record that I'd never heard. "It would be silly of me not to buy this!" Then, alas, I listened to it. The Marvel World of Icarus isn't all bad, though—hence today's 12 O'Clock Track. "Iron Man" caught my ear immediately and has already earned repeat spins. Cool layers of far-out, spacey synths propel this song into a league of its own. Sure, it's got nothing on the better-known song of the same title, but it's fun, spooky, weird, and catchy. I can't stop listening to it.